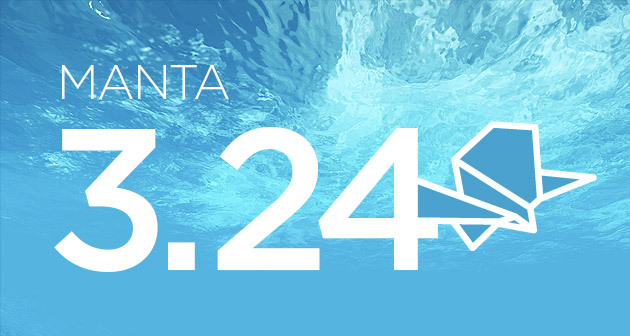 MANTA 3.24: New scanners for ODI, SSRS, ER/Studio and More! Here in Prague, where MANTA’s engineering office is located, the snow has melted and sunny spring has arrived. As the first baby otters are born, we are delivering a new little baby of our own: MANTA 3.24. Read about it in our blog post below or check out the two-minute video where Jan Ulrych summarizes all the changes and updates. What’s new this time? After finalizing our Microsoft SSRS connector, we have added two more new connectors. The first one is a scanner for Oracle Data Integrator (ODI); the second is for ER/Studio, which expands our influence in the realm of data modelling tools so that we can now create logical lineage automatically, making data lineage from MANTA more accessible for users who aren’t database tech pros. However, the biggest success in this release is the direct integration with Collibra via API. We have been partnering with Collibra on the development of this synchronization API for quite some time now. So, we are pleased to inform you that we can now introduce the final version. How is it different from the old integration? Direct integration. We are so integrated that we are basically part of Collibra DGC. This makes your work with Collibra and MANTA so much faster and easier. Automatic metadata update. Collibra can fully use this MANTA feature now. Table synchronization. We are the first ones on the planet able to update your Collibra DGC with your database 1:1, meaning you can now get rid of non-existent tables in DGC and make room for new ones. All in one. We are able to export all MANTA data lineage to Collibra, including the newly supported Microsoft SSRS. Logical Lineage. Since we support metadata extraction from E/R models and mappings between physical and logical layers, we can provide this information to Collibra so it can provide logical data lineage. Installation. It is just so much easier now. Besides the hot stuff mentioned above, MANTA 3.24 finally offers transformation logic in Teradata and a long-awaited experimental Java version. We are currently doing closed beta testing with some of our customers, and from the next software release onward, we will be doing open testing. Interested? Got questions? We are here for you. Throw a message into our trusty mailbox at manta@getmanta.com. We will reply!